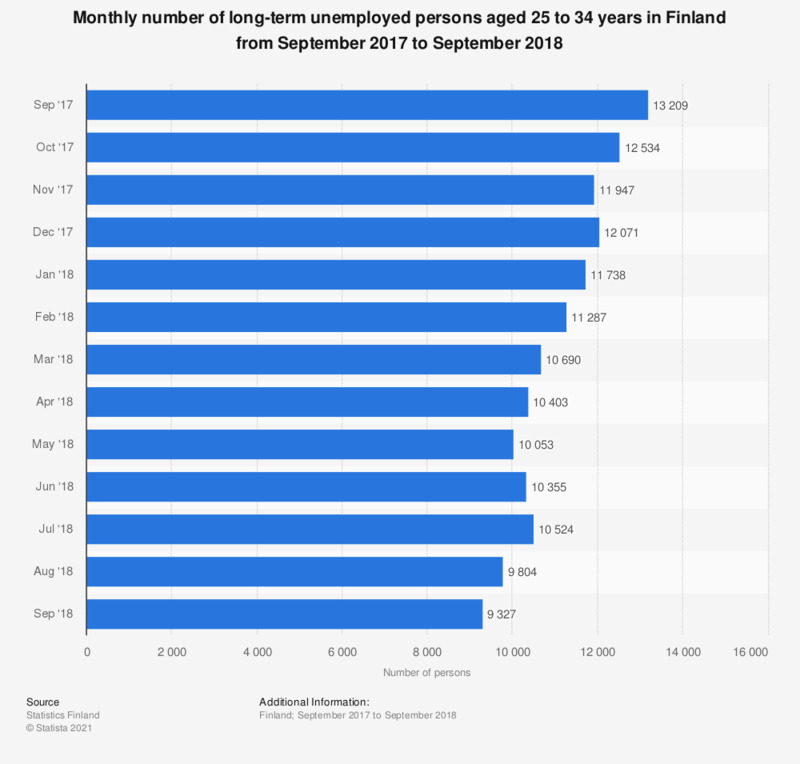 This statistic shows the monthly number of long-term unemployed persons aged 25 to 34 years in Finland from September 2017 to September 2018. During the given time period the number of long-term unemployed in this age group has decreased. In September 2018, 9,327 job seekers aged from 25 to 34 years where considered as long-term unemployed.